"We broadly cover all areas related to fibers, ranging from textiles made from fiber materials as lightweight and functional materials, to fashion clothing. In addition, we have 4 research departments in advanced research fields: frontier fibers, biomedical fibers, smart textiles, and Kansei and fashion engineering, and a research collaboration office has been established to connect these departments. The objective is that predominant research tasks will be created in each field, and the results disseminated to society." Masayuki Takatera, Director of the Institute for Fiber Engineering, Shinshu University summarized the research themes of the institute as follows. Frontier fibers are the latest and most advanced fiber materials, having high performance and high strength, and are extremely fine at the nano-level. Biomedical fibers are specialized fiber materials for the biological and medical fields, as the name implies. Smart textiles are fiber materials having a sensor function to sense conditions, like living matter, and that respond flexibly. Kansei and fashion engineering is advanced research into Kansei evaluations and information technology for products or the processes of producing them. Each of these is hot areas for research in fiber engineering that are currently attracting much attention. The objective of establishing the institute was to continue and expand on research in these advanced fields through education and research based on the fiber, textile, and clothing engineering developed in the Faculty of Textile Science and Technology, through international collaboration, and through industrial collaboration. Of course we strive to nurture excellent human resources in the fiber field with the cooperation of each faculty and the graduate schools as well as by inviting outstanding researchers from both within Japan and overseas. Professor Takatera strongly declares: "With these aims we started the education and research activities of the Institute for Fiber Engineering, Shinshu University, with a system of 21 full-time staff (of whom 8 are tenured staff)." "Fiber" is a generic term for a material having a long and narrow form, but by combining, weaving, knitting, or overlapping materials having this characteristic form and properties, various required functions can be produced. By complex combinations of various materials such as natural materials like silk and cotton or compounds, metals, or inorganic materials, etc., and using various processing technologies, problems facing society are solved and new value is produced for lifestyle or cultural aspects, such as fashion, etc. Academic research in these topics is generically referred to as fiber engineering. In the current 21st century, as a result of the evolution of science and technology there is remarkable development of nanotechnology research and manufacturing on the nanometer scale (1 billionth of a meter) and the study of the structures and functions of living matter and the development of biomimetics which mimics these structures and functions. As a result of this fiber engineering has entered a new stage throughout the world that aims to produce undreamed of functions and value by complex and minute structures of fine fiber materials having special functions. The fields of application of these materials are broad, for example fiber reinforced composite materials used in the bodies of aircraft and cars, environmental materials used for planting in deserts or for purification of water, advanced medical materials such as artificial blood vessels, artificial organs, regenerative medicine materials, etc., energy related materials such as fuel cells and solar panels, and materials for space exploration such as space clothing and space elevators, etc. Also, among these new developments in fiber engineering, with the globalization of markets there is a demand for new developments in "fashion engineering", the discipline associated with fashion and clothing which is closely related to people's lifestyles. 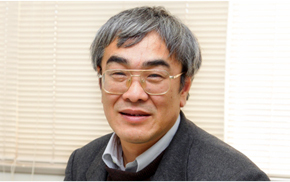 As this international fiber engineering research heats up, Professor Takatera states: "It is the mission of the Institute for Fiber Engineering, Shinshu University (IFES) to carry out research and development in fiber engineering with an international perspective to contribute to the creation of a prosperous and sustainable society, and to create and accumulate technologies based on this research". For this purpose we aim to construct an effective research system in which the researchers not only have their free ideas within a narrow specialized field, but also have an overall perspective when developing the original research of each, and information exchange and inter-disciplinary joint research are promoted in departments and in the institute as a whole. In addition, initiatives in international collaboration so that the fiber engineering research will lead the world, and industrial and governmental liaison in order to return the research results to society are being further stepped up.